Medical providers can diagnose and provide a treatment plan to patients from a remote location with the use of a telecommunications system. This practice is called telemedicine. Telemedicine allows patients from rural areas to have access to doctors that they never were able to get to before. Whether the distance was too far to travel, or they were unable to transport themselves to the appointment, patients weren’t always able to meet in person with the specialists that they needed. Since the concept of telemedicine has become widely known and is becoming a popular source of healthcare, Medicare has broadened its coverage for telemedicine services. 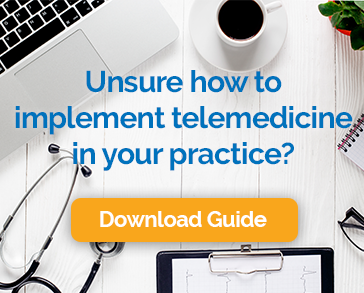 There are a few requirements to ensure that your telemedicine services are covered, but that’s true for many services in Medicare. As we said before, telemedicine is available to patients who live in rural areas. For Medicare to cover a telemedicine service, the patient must visit an Originating Site in a specific area. An Originating Site is a place where the telemedicine consultation is conducted. Examples of Originating Sites accepted by Medicare are doctor’s offices, hospitals, and rural health clinics. The Originating Site has to be in an area classified as a Health Professional Shortage Area (HPSA), which are usually rural areas. Medicare also requires you to use an accepted healthcare professional at the Originating Site to initiate your telemedicine consultation. Physicians, nurse specialists, and registered dietitians are examples of some healthcare professional that Medicare accepts. In addition to these requirements, Medicare states you must use a telecommunications system that allows live interaction between you and the specialist that is at the Distant Site. Thissystem must have video and audio features that allow you both to communicate in a live setting. However, if you are either an Alaska or Hawaii resident, Medicare allows you to record your consultation and forward it to the doctor at the Distant Site. How Will Medicare Pay for Telemedicine? If you follow all the requirements listed above, Medicare will cover your telemedicine doctor consultation. The billing department at the Originating Site will need to verify that they use a billing code from the Centers of Medicare and Medicaid Systems (CMS) list of covered telemedicine services. If the wrong billing code is selected, it could result in Medicare denying the bill and you paying a bill you would have otherwise not had to. Since telehealth services are outpatient services, Medicare Part B will be in charge of covering your consultation. Medicare Part B covers telehealth services like any other Part B service. Once you have met your annual Part B deductible of $185, Part B will cover 80% of the costs, while you cover 20%. Keep in mind that if you see doctors that do not accept Medicare assignment you could be charged excess charges. Excess charges can be added to your bill if the doctor doesn’t accept Medicare’s approved price for the service. Doctors who don’t participate with Medicare are able to charge you up to 15% more than what Medicare charges. The best ways to avoid excess charges are to always use participating providers or to get a Medigap plan that covers excess charges for you. The deal with Medicare Advantage plans is that you will always have coverage that is at least as good as Original Medicare (Part A and Part B) offers. However, this type of plan can offer extra benefits and coverage if the carrier chooses to. Therefore, your telemedicine coverage under a Medicare Advantage plan may be different from someone who is enrolled in Original Medicare with a Medigap plan. If you feel telemedicine is something you will be taking advantage of in the future, be sure to review the Medicare Advantage plan’s coverage details prior to enrolling. As long as you follow Medicare’s rules, you should have any trouble getting your telemedicine consultation covered.